Happy New Year! I hope that you have a great holiday time with your family. Starting in 2019, I would like to introduce a new series of articles. 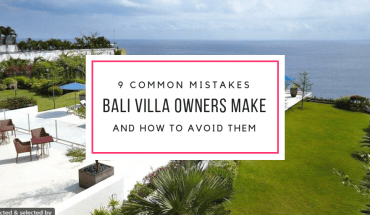 In this series, I would like to share more tips and insights to help you understand the villa rental industry better. 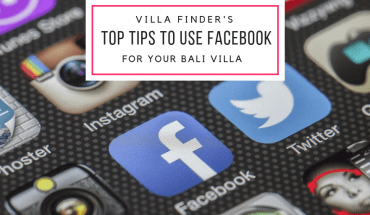 These are the learnings Villa Finder has consolidated over the years, and we would like to share them with you. 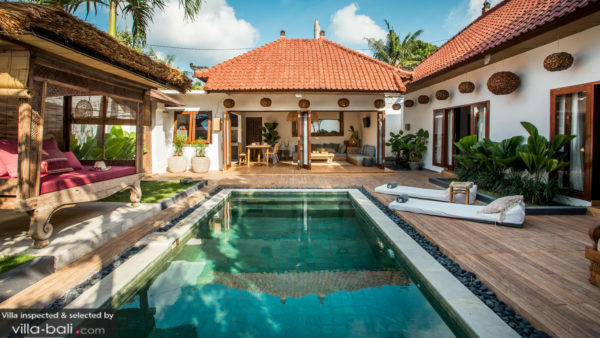 First, let’s start with the 5 Bali villa design trends in 2019. 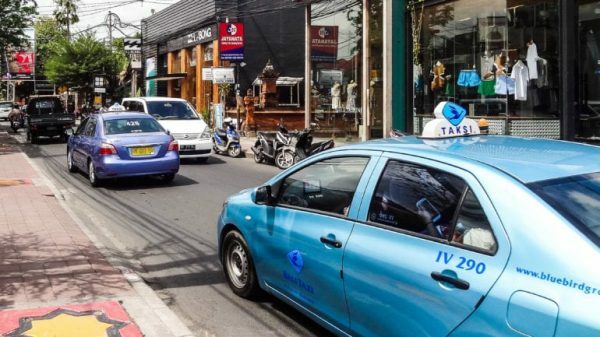 But first thing’s first, why do you need to care about the villa style? I’m confident to say that the design is very important to the villa’s performance. Our clients pay careful attention to the artistic aspect of the house, and most of the time, they have a clear preference. Our team have seen many villas that have a strategic location, but unfortunately, fail to attract bookings because of the design. 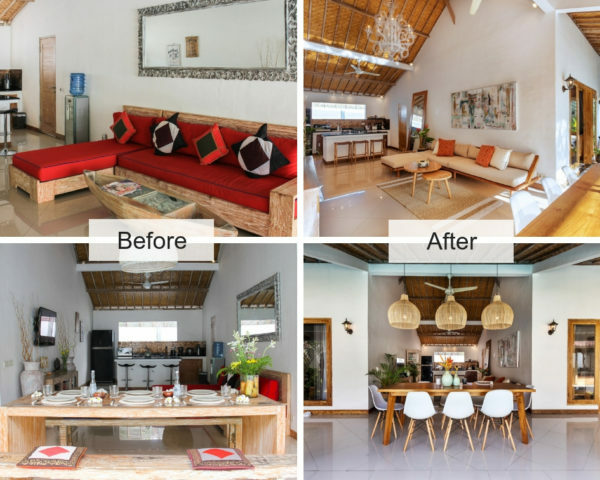 Some simple re-designing can go a long way, and we can see that from Villa Crystal’s story (+42% in revenue). You can find out more here. Over the past few years, we have seen a change in the client’s taste for villa style. Check out below to see what’s in vogue! We see more and more clients liking villas that are simple in design but with tasteful use of artworks, colour tones and furniture. For example, they like villas like Ohana or Makasih where muted, neutral colours create a clean, minimalistic look while a careful selection of art pieces and wooden furniture introduces warmth and harmony to the living space. People like the tropical architecture in Bali villa design. However, they tend to equate the style with old fashion. While the use of timber creates a rustic look, you need to make sure that your villa still has a contemporary and edgy feel. An example is Villa Madura. 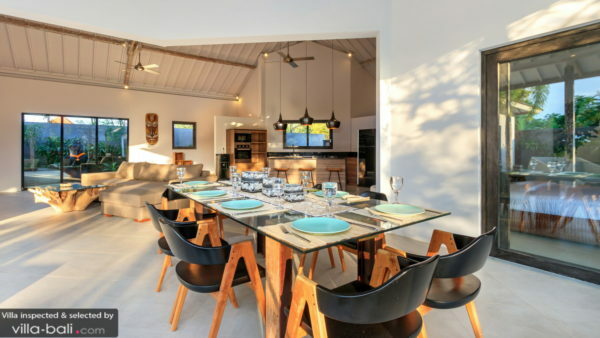 You can see the wooden dining table brings natural elements into the room, but it doesn’t look out-of-place with the stylish lights and modern amenities. 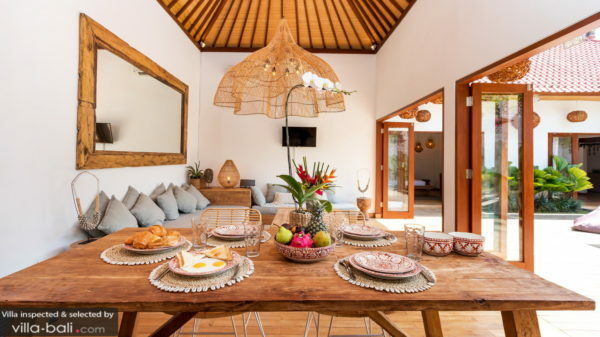 Inexpensive, simple and very easy to install in your villa, the bamboo chandelier like the one at Villa Makasih catches the interest of many of our guests. 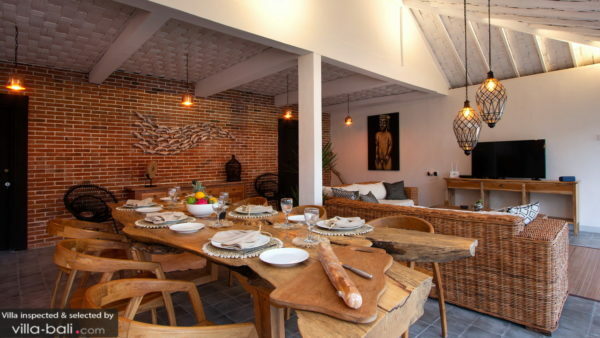 We see many other best-selling villas utilise this kind of chandeliers, such as Villa Waterlily Seminyak and Villa Arte. Full-length folding glass doors create an indoor-outdoor living plan. The interior is extended out to the garden, opening up the living space. The use of glass doors and windows also allow natural light to enter the room, creating a bright and airy area which our guests undoubtedly love. In 2018, I received a number of Facebook messages asking for villas of this style. A well-cared-for garden like the one at Casa Martina immediately creates a refreshing look to the villa. It brings in serene tropical vibes that help set the mood for your client’s holiday. While most clients simply state that they want a private pool, they definitely appreciate one surrounded by swaying palm trees or dotted with frangipanis so much more than plain concrete. I hope this article gives you some inspiration for your villa in 2019. Bear in mind that style is one of the many aspects that contribute to your villa’s success: location, price, visual presentation, etc. If you would like us to simplify everything for you, check out our Villa Distribution Solution here. Or if you would like to learn more feel free to email me at amanda@villa-finder.com. If you have any questions, comment below and stay tuned for the next article!